Suitable for a variety of trade applications. Features heavy-duty alloy bevel gear head with composite body casing and spindle lock for fast loading/unloading of discs. 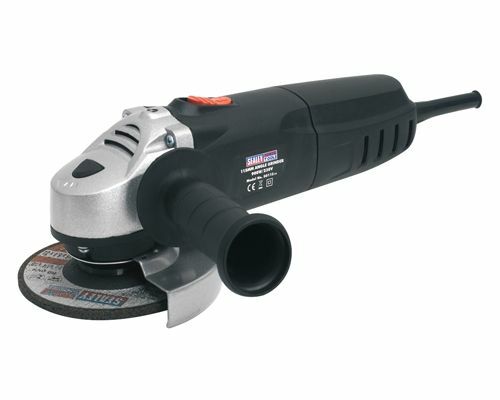 900W Heavy-duty motor develops powerful 11000rpm (no load speed). Supplied with side handle, guard and spanner. Fitted 3mtr power cable with BS approved non rewirable plug. Grinding disc not included, order Model No. PTC/115G.